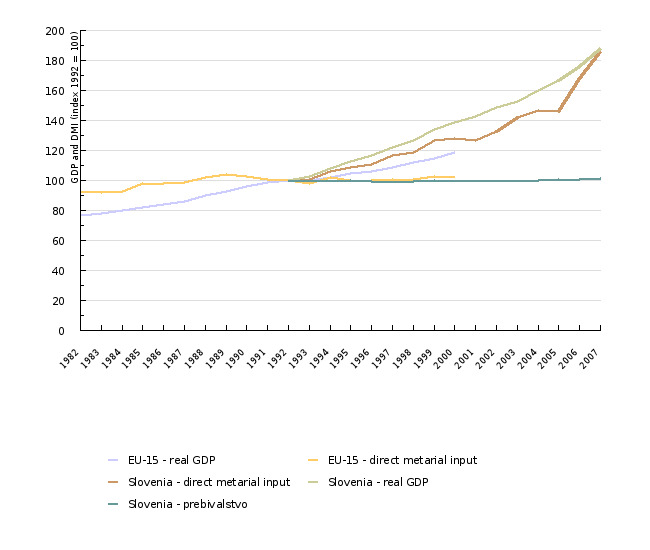 The exploitation of natural resources produced or extracted in Slovenia, showed un upward trend until 2007, when it began to decline. 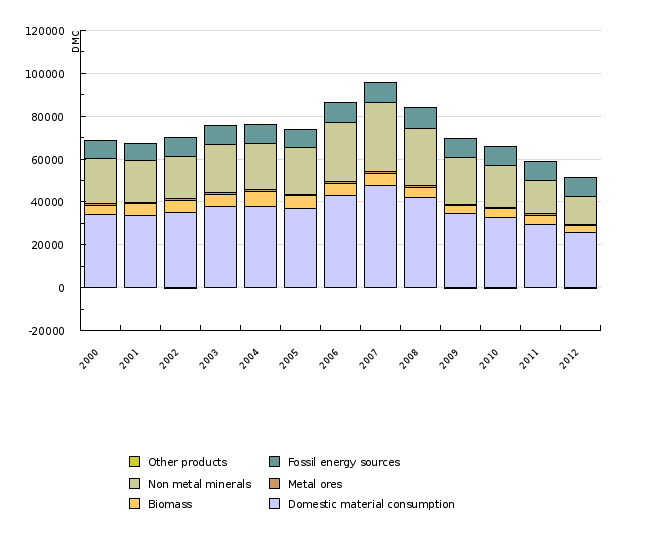 In 2012, 22 million tonnes of resources were used, which is 42% less than in 2007 (38 million tonnes) and 26% less than in 2000 (30 million tonnes). The use of biomass and fossil energy sources slightly vary in individual years, hovering around 5.5 million tonnes and 4.5 million tonnes, respectively.The exctraction of mineral resources for construction decreased by more than half. 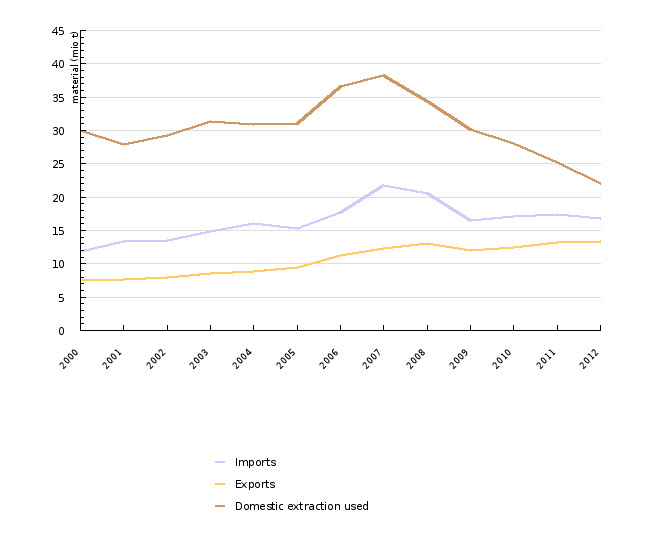 In 2012, approximately 12 million tonnes were used.